The winter season is for many one of the most joyful times of the year, but it's also the season of flu and common cold. Never the less, you don't have to let health problems spoil your winter spirit. Freshly-pressed juices and smoothies. Citrus fruits are rich in vitamin C and other nutrients that benefit the immune system. So grab that orange or two you have in your fruit basket, press them and treat yourself to a glass full of vitamins in the morning. 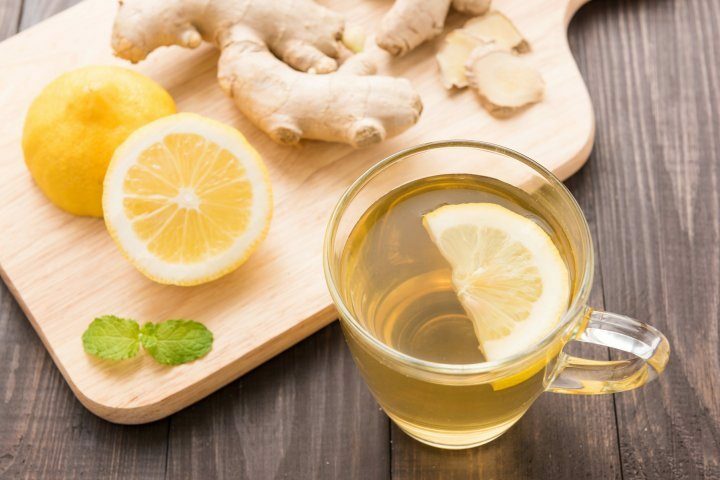 For the extra immune system boost, season it with a pinch of ginger, a superfood that really deserves this title. Home-made syrup. Use ginger, honey and lemon. Peel and finely grate ginger and press lemons, then mix all of the ingredients with a wooden spoon. Pour the mixture in a glass jar and refrigerate it for 24 hours. We recommend to eat at least a spoon of that healthy mixture a day or mix it into your tea when you feel like treating yourself with a vitamin bomb. Use salt water. You don’t need to spend money on nasal sprays, since you can prepare your own saline solution at home. For one litre of water (boil it first), you will need 9 grams salt. While carefully rinsing your nose, just take care not to lean your head too much backwards as the salt water might enter your throat. Precious time, spent outside. Spending time outside will optimise your levels of vitamin D, which can help fight osteoporosis and cancer to depression and heart attacks. Fresh air and natural sunlight will improve your mood. You’ll definitely fill your lungs with fresh air and later bring positive energy into your home. Positive thinking. No matter the season, positive thinking is always a good recipe to feel better and healthier. It’s hard to stay positive no matter what, but we promise, if you try, you’ll see the benefits in a matter of days. When it comes to producing food that is fresh, full of taste and rich in nutritional value, nature has always known best. That is why the new NatureFresh built-in fridge freezers from Gorenje mimic the natural conditions by maintaining the photosynthesis process, controlling the humidity levels and providing fresher air. Additionally, Gorenje NatureFresh built-in fridge freezers have high energy ratings, ranging from A+ to A+++ and their modular and flexible design ensures they will suit every lifestyle perfectly.